Buildings settle due to a wide range of soil, water, structural design, or maintenance problems. We provide lasting solutions for owners of commercial and industrial structures that need stabilization due to settling and/or ground deformation. ATLAS™ Resistance Pier System consists of steel structural parts, including pipe segments that are hydraulically driven into place at strategic locations in order to restore stability of existing commercial and industrial structures or to establish support for foundations in new construction. What are Commercial Resistance Piers Used for? Settling can damage property values, destroy structures, and make buildings unsafe. Underpinning with Commercial Resistance Piers offer the most cost-effective and long-lasting solution for repair of commercial, industrial and residential buildings, and retaining structures. Resistance Piers stop settlement. Atlas structural piers can also be used to raise structures, thereby closing up cracks and rectifying other structural flaws caused by settling and/or ground movement. Commercial Resistance Piers are used for repair of tower foundations, warehouse buildings, equipment and machinery foundations, etc. Special remedial brackets can be used to repair existing foundations by connecting them to either the side or bottom of the existing foundation, or to the sides of building columns. Our unique resistance push pier system employs the weight of the structure as a reaction system to push pipe piers into the soil. And, the patented Atlas support system enables piers to be driven to the necessary depth to ensure secure and veriï¬able structural support. Installation Process — In a two-part process, the pier pipe is driven down to a firm stratum that will properly bear the structural load. Lift equipment and a system of hydraulic manifolds with individual lifting jacks are used in combination to lift the structure (if necessary), to provide measured support strength. This system establishes the structure at the desired elevation, and it permanently stops settlement. Load Bearing Capacity — Underpinning systems have bearing capacities ranging from 60,000 to 120,000 PSI each. Atlas piers are optimally spaced to force greater lift to the structure than required. This methodology effectively load tests individual piers prior to lifting, and it provides the measured Factor of Safety (FS) at lift, on each pier. 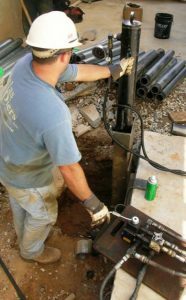 Workspace Required — Workspace is usually not a problem when installing ATLAS™ Resistance Piers. Portable equipment can often be used, which requires a very small square area. The piers can be installed on footing from the interior or on the exterior. The ATLAS™ Resistance Pier is a patented two-stage pile foundation system. The unique structural support system is designed to provide appropriate strength of structural support. The system design process should involve professional engineering, specific information about the structure, foundation condition, and soil characteristics. Atlas experts evaluate and incorporate all relevant information into the final design of an optimal support system for your building. MDTI manufactures the ATLAS™ Resistance Pier for our resistance pier applications. A properly installed resistance pier system can stabilize a foundation and prevent future settlement. It can restore structures virtually to their original positions prior to settling. This solution can also often close up cracks and remedy other structural defects caused by settlement. ATLAS™ Resistance Piers are selected for your application, based on load requirements, soil conditions and structural issues. Atlas offers a wide range of engineered capacities, and we manage all other specifications to fit your project requirements. All Atlas foundation repair and construction products are manufactured by the world’s highest quality manufacturers of products for our industry. MDTI manufactures the ATLAS™ Resistance Pier for our resistance pier applications. By using only the strongest products available for foundation construction and repair, we can ensure against future problems with settling. We use high-quality products. However, we understand that our products and services must be cost-efficient for our clients. Therefore, we pay careful attention to selecting the best quality of product to provide the highest level of practical value for your project. 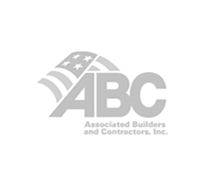 Our job is to make sure that your building’s foundation is permanently supported by a foundation that will remain strong and stable. 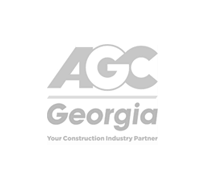 As one of Atlanta’s pioneers in foundation installation and repair, we’ve stood the test of time, and we’ve developed processes and products to withstand our region’s climatic and geological challenges. 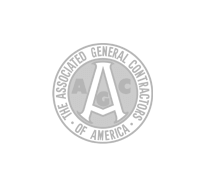 Atlas provides our clients with an exceptional level of experience, effectiveness of strategic solutions, workmanship, and quality of materials. 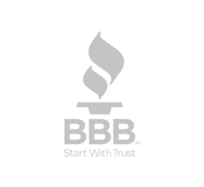 Through over 60,000 successful installations, we have built a reputation in our industry for our skill and integrity. As a result, Atlas’s repeat business includes high-profile clients, architects, engineers, business owners and homeowners throughout the Southeast United States. For more information about commercial underpinning, or to make an appointment for your free consultation and quote, contact Atlas Piers at (770) 740-0400 to speak to one of our experts. For all your commercial and residential foundation repairs and new construction projects, you can count on the professionals at Atlas Piers.